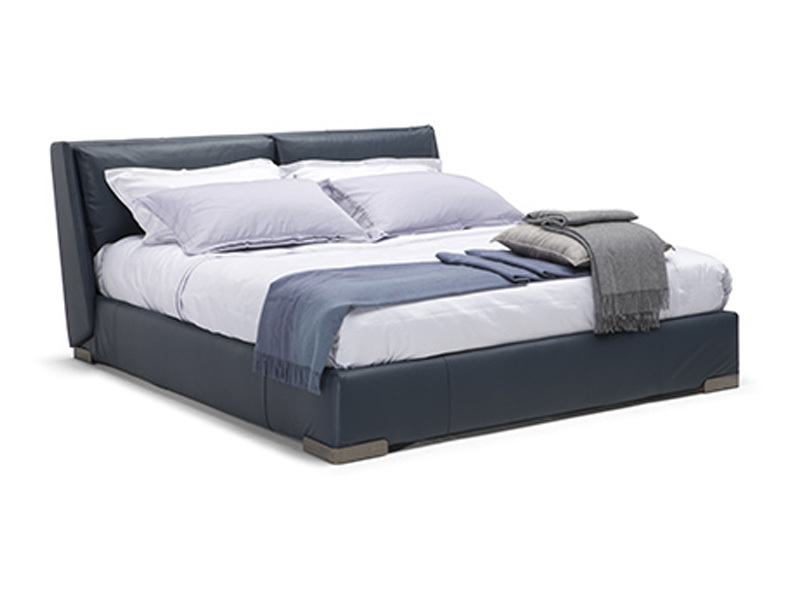 The Fenice bed, created by designers Bernhardt & Vella, stands out thanks to its embracing headboard, with its characteristic large, soft pillows and the geometric detail of the join between the headboard and the frame. 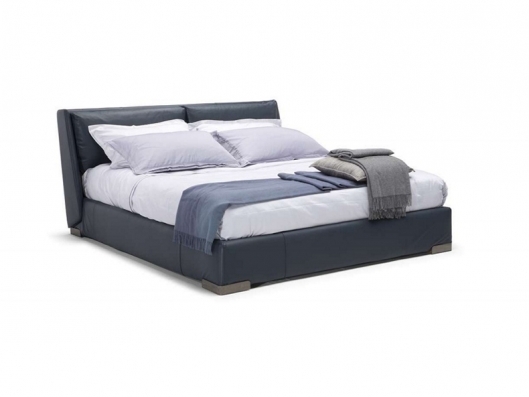 The gentle tilt of the headboard offers a comfortable reading position. The metal feet inserted into the structure enhance its design. Removable leather or fabric covering.